Too cool for Christmas? 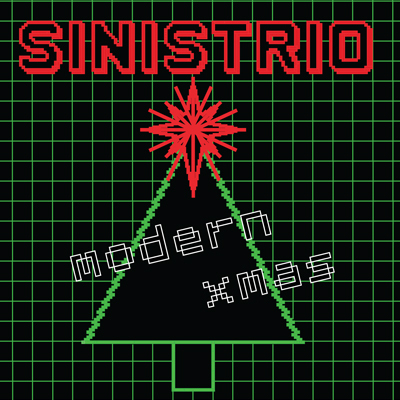 Think again… Sinistrio, one of Canada’s hippest instrumental trios, brings the holidays to a whole new level. Their brand new album, Modern Xmas, is just that – a modern take on some of our holiday favourites. Kick back and relax with your eggnog as Sinistrio weaves their distinctive sound together with traditional melodies. ‘carol of the bells’ features Jeff Drummond’s ethereal guitar stylings, and ‘the grinch’ brings 1960s soul and groove into the present day. Using retro keyboards, Steve Fletcher brings a completely different sound to ‘white xmas’ taking us back to the height of the surf rock era. Jon May completes the mix driving the soundscape with his infectious drum grooves. With Modern Xmas, enjoy a refreshing take on songs of the season that proves nobody’s too cool for Christmas.